CARACAS. Venezuela.- The Government of Venezuela strengthens peace diplomacy despite the coup and interventionist plans brewed in the region, led by the United States against the sovereignty of that country. 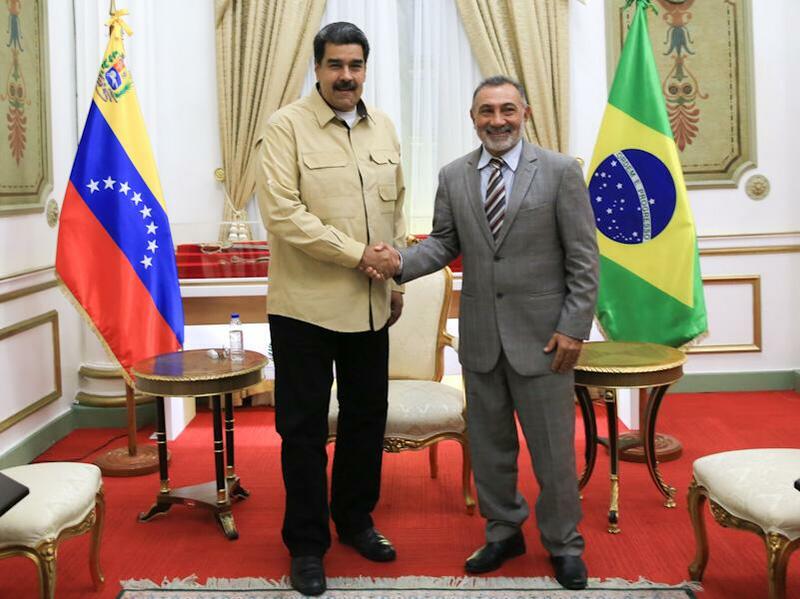 Nicolas Maduro, President of that nation, assured during a meeting with Brazilian Senator Telmario Mota that despite the threats of military intervention of his counterpart Jair Bolsonaro, the Bolivarian authorities bet on harmony and good relations. During the exchange developed at the Presidential headquarters, both sides advocated mutual respect, in search of peace and seeking benefits for the inhabitants of nations who share more than 2000 kilometers of frontier. For its part, Mota criticized Bolsonaro’s concern for Venezuelan politics, and said the Brazilian President forgets that in his own country there are problems of great magnitude in the social, economic and political fields. Apenas un mes después de la entrada en vigor de la Ley Helms-Burton, la Organización Mundial del Comercio señaló en abril de 1996 el carácter extraterritorial de ese engendro legal.